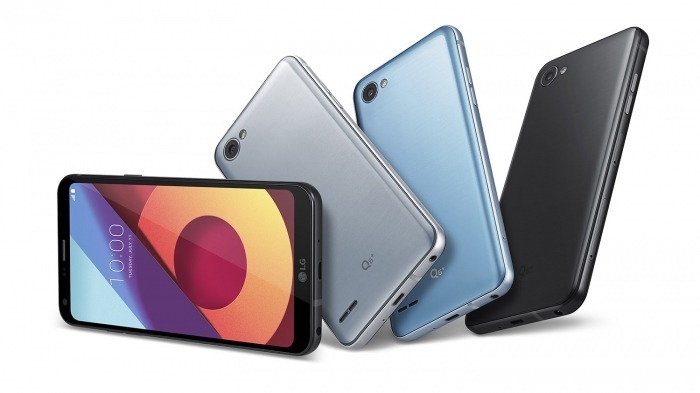 The almost borderless design is reaching intermediate smartphones: LG has announced the LG Q6, a G6-like device, but it has a smaller screen, simpler hardware, and a more affordable price. The G6 had Snapdragon 821 processor and 5.7-inch display (2880 × 1440 pixels). In Q6, we’re talking about a Snapdragon 435 and a slightly smaller screen, 5.5 inches, but maintaining the ratio of 18: 9 (2160 × 1080 pixels ). Also, the dual camera came out to make room for a single 13-megapixel sensor with standard focal length. Like its most expensive brother, it has an aluminium frame and is more compact than the competition, at only 69.3 mm wide – it’s almost the same as the old Nexus 4 (68.7 mm), which had only 4.7 inches, just to exemplify the magic of edge reduction. It’s a shame that he has lost his fingerprint reader, a feature that is even reaching basic smartphones like the Moto E4. LG says you can use “a proprietary facial recognition technology that allows users to unlock the Q6 faster and more conveniently than other technologies currently available.” All right then. And the connector is Micro USB, not USB-C.
Q6+ has 64 GB ROM and 4 GB RAM, Q6 has 32 GB and 3 GB, and Q6a has 16 GB and 2 GB. all with 3,000 mAh battery. It will be sold from August in Asia and will later be released in Europe, North America and Latin America. The prices have not yet been disclosed.